We love our customers, and we love the communities we live and work in. We never want any Wisconsin or Minnesota drivers to find themselves in precarious driving conditions or facing a car insurance claim. That is why we are challenging you to create a new habit and follow these 10 tips for safer driving. Don’t speed. The faster you are going, the less time you have to slow down if you suddenly notice a wild animal in the road, a pedestrian, or a vehicle stopped in your path. According to the National Highway Traffic Safety Administration, speed is a factor in approximately 1 in 3 fatal crashes in the U.S.
Be a courteous driver. One of the best ways to drive defensively is to assume that other drivers are only looking out for themselves – not you. Don’t drive aggressively. Instead, share the road with others, especially motorcycles, cyclists, and pedestrians. Be sure to obey traffic signs, and always use your signal when turning. Maintain your vehicle. Your car is a machine that must be maintained and cared for to operate in peak safety and functionality. Follow the National Highway Traffic Safety Administration’s checklist for tire safety and maintenance. The American Safety Council also has a list of items that should be checked on a regular basis for safety purposes, including your lights, brakes, belts, hoses, and fluids. Clean your windshield and windows. A dirty car is not only cosmetically unappealing, but it can be a hazard, too. If your windshield, windows, and mirrors are smudged or dirty, it can obstruct your vision. Light might scatter during the morning and evening, and you might not see an object blocking the road. Avoid distracted driving. Anything that takes your mental focus or vision off of the road is classified as a distraction. This can include the use of handheld devices, eating while driving, applying cosmetics behind the wheel of the car, and even adjusting the radio. For more information about distracted driving and how you can avoid it, visit Distraction.gov. Never drive under the influence of substances. Alcohol impairment is a top cause of fatal accidents in the U.S. However, other substances – including sleep aids – have been known to be a factor in car accidents. Always designate a driver if you plan to drink alcohol, and never get behind the wheel of a car if you feel drowsy or impaired. Avoid driving during inclement weather of all kinds. Hazardous weather conditions cause thousands of accidents in Wisconsin every year, with countless injuries and many lives lost. Everything from rain and snow to high winds and fog can impair your ability to drive safely. Check weather conditions before embarking on your commute, and delay your drive or take an alternate route if necessary. Buckle up. This is the most important tip on this list. Seatbelts save lives – period. 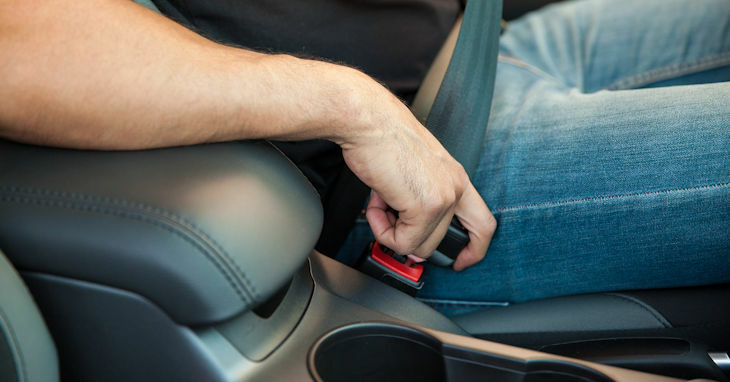 Not only is buckling up the law, but it can keep you safe inside your vehicle in a collision. Everyone in a vehicle of all ages – front seat and back – should buckle up anytime they ride in the car, regardless of how short the trip is. Take extra steps for safety when traveling outside of your city. First, familiarize yourself with your rental vehicle before driving it. Also, take note of local ordinances and laws that may be different from those in your own city and state. If you are driving a long distance, try to share to the driving responsibility with another licensed driver in the vehicle. If this is not possible, pull over to take breaks at rest areas. Sign up for roadside assistance with your agent. Whether you are locked out of your vehicle, in need of fuel, or trying to change a flat tire, your insurer’s 24-hour roadside assistance coverage will be there for you in a pinch. If you do not have roadside assistance and want to include it on your policy, contact our office here at Noah Insurance for a quote.